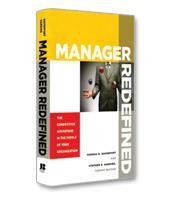 In Manager Redefined, Tom Davenport and Stephen Harding explains that managers must build human capital and create employee engagement by managing them almost not at all. The authors view supervisors and managers as centers of insight and influence, underappreciated in many organizations, but endowed nevertheless with the potential to make dramatic contributions to enterprise success. They urge companies to think of their managers as potential sources of competitive advantage. How to resolve one of the most important and often difficult aspects of management - motivating performance. How to build autonomy and self-efficacy among team members while maintaining accountability. How to unleash the power and potential of managers for company goals. 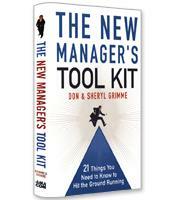 How high-performing managers can contribute to organizational success.